Piatt’s (Banned Questions About Christians, 2013, etc.) first foray into fiction is a religious thriller about a secret group aiming to incite the second coming. Jacob is a relatively typical 19-year-old who works at a record store in Denver, plays sax and rides a skateboard. But he also has strange dreams of Jesus, set around the time that he was crucified, and wakes up with his own wrists seeping blood. He finds out about a strange man in black who’s been asking others about him and who later breaks into his co-op room. The man works for a group called The Project. New York journalist Nica has previously investigated the group, which crops up again when she’s writing an article about the Titulus Crucis, a piece of wood that’s reputedly a relic of Jesus’ crucifixion. The Project, it seems, is using science to engineer the second coming of Christ, a fact which eventually leads Nica to Jacob. This short novel is rich with detail, and many of Nica’s interviews feel like history lessons; at one point, for example, she and Dr. Pavel, who analyzed a sample of the Titulus Crucis, discuss the mutual appreciation between science and religion. But no part of Nica’s investigation feels tedious, and most of what she learns becomes important as she closes in on The Project’s ultimate goal. The more exciting, modern scenes are offset by the slower scenes of Jesus at the cross and during the days that followed. The two time periods alternate throughout the novel; the placid, engaging tale of the persecution of Jesus’ followers nicely counterbalances the tense, contemporary thriller, which later features a kidnapping. The novel also boasts an understated love story between Jacob and Elena and expanding intrigue as Jacob realizes that there’s much more to his life than vivid dreams. Readers will likely see where the story’s headed, as Piatt does drop quite a few hints as it goes along. He also smoothly sets up a potential sequel. 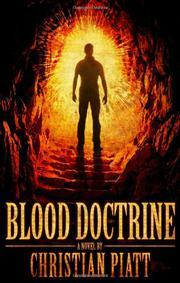 An inspired, stimulating religious thriller.